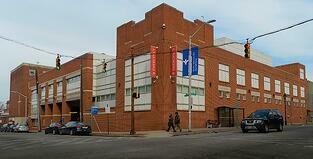 Why Baltimore for Clinical Clerkships? Sir William Osler, one of the founders of modern medicine, established the concept of having third and fourth year medical students work with patients in the hospital, pioneering the practice of bedside teaching. Osler introduced clerkship training at Johns Hopkins Hospital, in Baltimore Maryland. 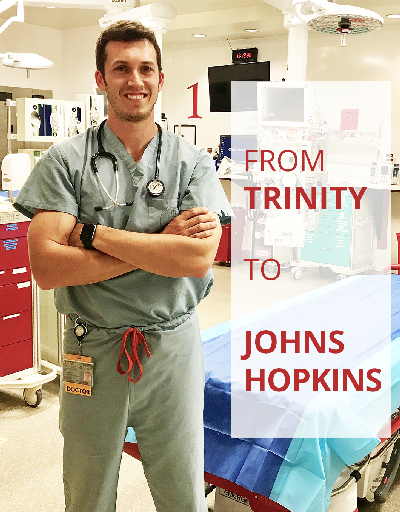 Today, Trinity School of Medicine students follow the tried and true approach that was established by Sir William Osler and attend weekly Grand Rounds at Johns Hopkins, the same institution where Osler, as physician-in-chief, forever changed the way physicians were taught the practice of medicine. 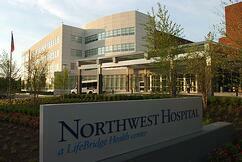 Our network of affiliated teaching hospitals is a testament to that history. Trinity School of Medicine's clinical rotations are noteworthy among Caribbean medical schools. First, our centralized program has room for every student we admit. If our matriculation numbers expand slightly (and we mean slightly, our dedication to small classes is no joke), so expands our clinical rotation slots to ensure we can always accommodate our students--an unfortunate reality of some Caribbean schools is this is not always the case, and is often one of the uncomfortable truths behind their high attrition rates. Like so many hospitals Trinity works with in Baltimore, the award winning BWMC has a long history of innovation and care. 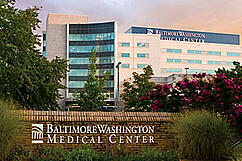 The 293 bed, 700-doctor teaching hospital has been serving the greater Baltimore community for fifty years. Its ED serves 104,000 patients a year, and boasts many noteworthy “centers of excellence,” namely the Aiello Breast Center, Pascal Women's Center, Center for Advanced Fetal Care, Tate Cancer Center, The Vascular Center, Joint Replacement Center, Spine and Neuroscience Center, Wound Healing and Hyperbaric Medicine Center, and University of Maryland centers for diabetes and endocrinology, surgery center, and cardiology. Bon Secours Hospital is the award winning flagship site of a health system that has been a part of the medical community in Baltimore for nearly 100 years. Consistently ranked a top place to work in the city, it is nationally recognized for community immunization impact and technological adoption. 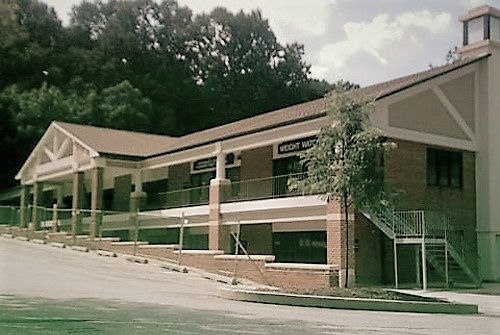 A community hospital located in Randallstown (right outside the Baltimore Beltway), prides itself on patient engagement, surgical innovation, and an advanced emergency department means Northwest provides a significant volume and quality of care for its moderate size. A private pediatrics practice run by one of our department chairs, this is a unique opportunity in medical education: a close, daily working environment with regular patients all designed to properly assess and address the medical complexities of child development. While Trinity School of Medicine's core rotations are localized to its Baltimore program and there are local electives available, we also offer "elective tracks" in Baltimore, Chicago, and middle Georgia. Why Chicago and middle Georgia? Trinity leadership has deep connections in both locations, but we also want to adhere to the same principles that shape our core rotations: give students a place to call home to let them focus on what matters: their education. Students are invited, as always, to select their own electives to sharpen their skills and broaden their experiences, but for those that do better in a more structured setting, we provide two other "home base" elective locations in addition to our Baltimore opportunity. These proven, focused elective tracks provide set-electives that are tailored to help guide students into specific residencies. In order to complete the Trinity doctor of medicine (MD) degree program, students from outside the U.S. and Canada may need to obtain certain visas in order to undertake all or a portion of the requisite clinical training in the U.S. Additionally, all students from outside the U.S. and Canada wishing to practice in the U.S. or Canada will need certain visas to take one or more segments of the USMLE exams in the U.S. These visas are solely the student’s responsibility to obtain. Students who are unable to obtain the necessary visas will not be able to access clerkships in the U.S.
Trinity School of Medicine's clinical clerkships, taking place in years three and four (terms six through ten), are conducted with Trinity faculty and local staff at our network of affiliated hospitals and medical facilities. Our students apply what they've learned in their first two years, taking their next great steps towards becoming physicians. Under the supervision of our faculty physicians, students participate in 48 weeks of required core clerkships and 27 weeks of elective clerkships. Students obtain new clinical expertise in the basic clinical disciplines in preparation for advanced training in their residencies. The core clerkship requirements are listed below. The 27 weeks of elective clerkships are strategically chosen to strengthen students residency applications and further broaden and sharpen their skills. Click here to read more about each of our clinical chairs. Core clinical clerkships are required training for licensure in the U.S. and Canada. Elective clerkships are selected by students to add another dimension to their clinical experience and help them further refine their choices for residency. Research electives are also available, documented on our research page here.